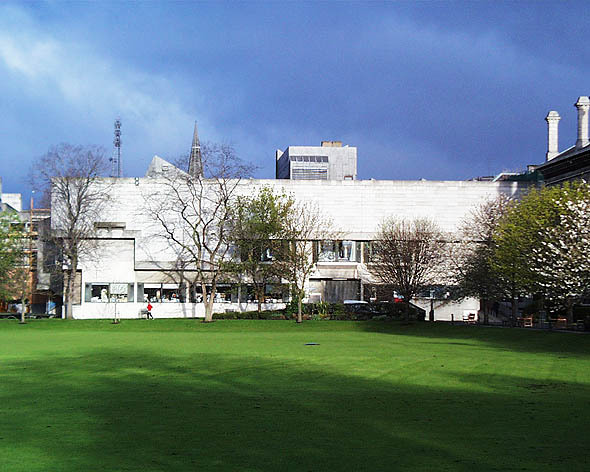 Named after Bishop George Berkeley (1687-1753), this building caused quite a stir when built inside Trinity’s grounds next to Burgh’s Library building. 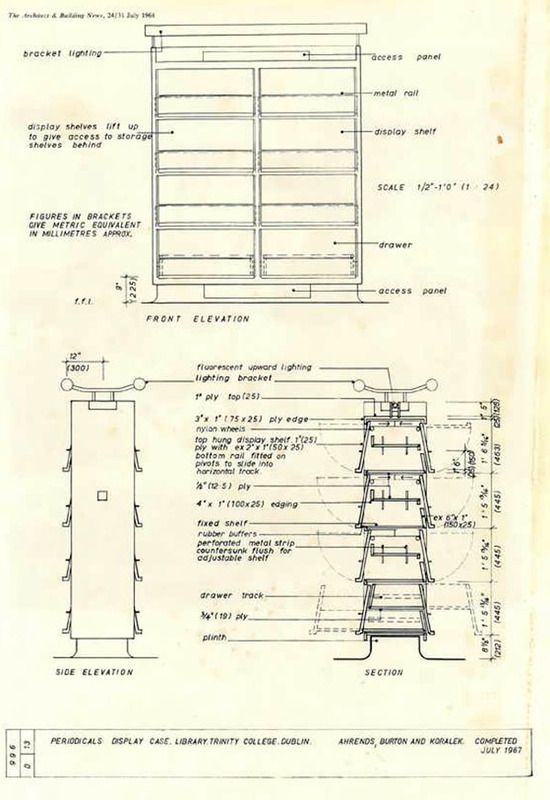 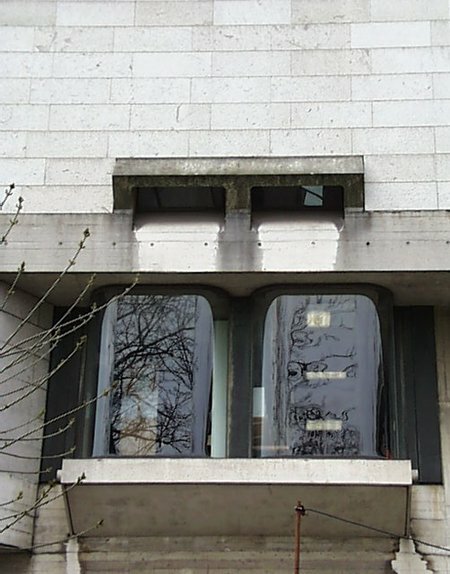 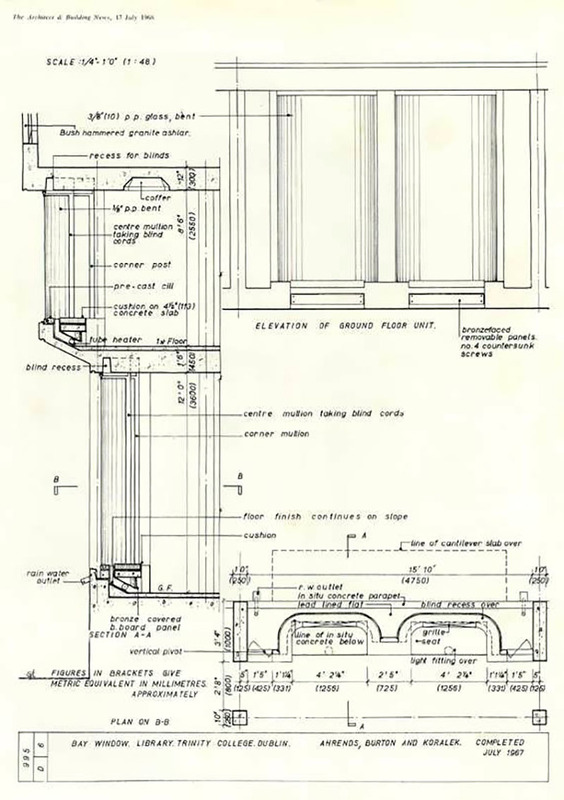 In accordance with Le Corbusier’s belief that poured concrete should reflect the material into which it was poured, timber marks can be seen on the exterior surface of the building. 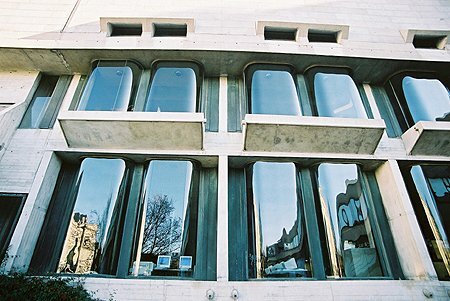 Ths side elevations have unusual window detailing allowing natural light into the buildings. 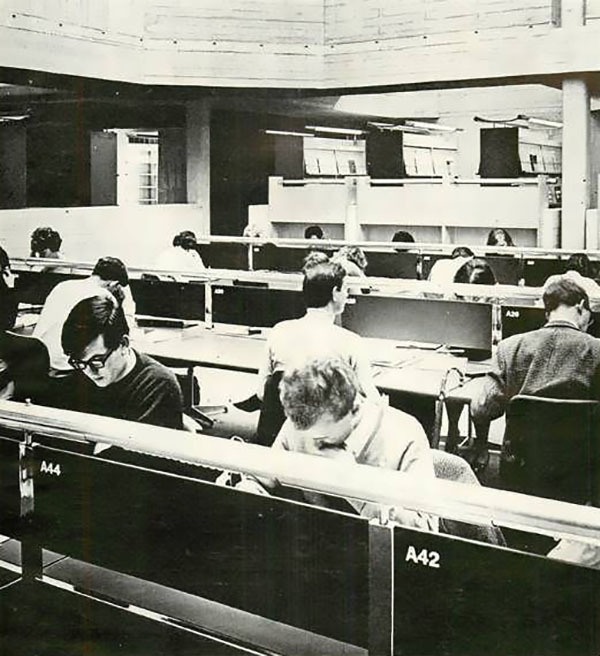 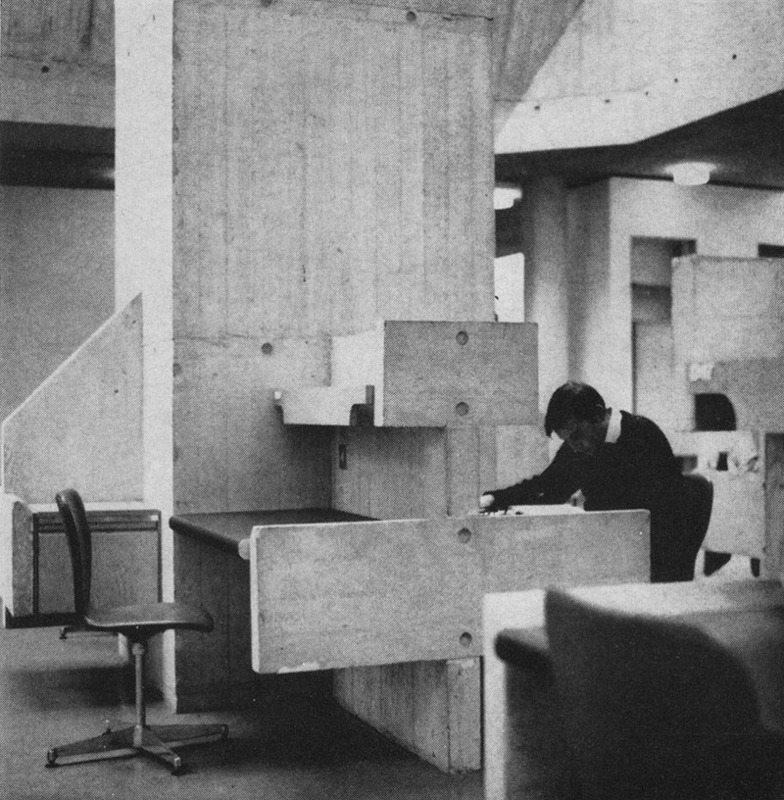 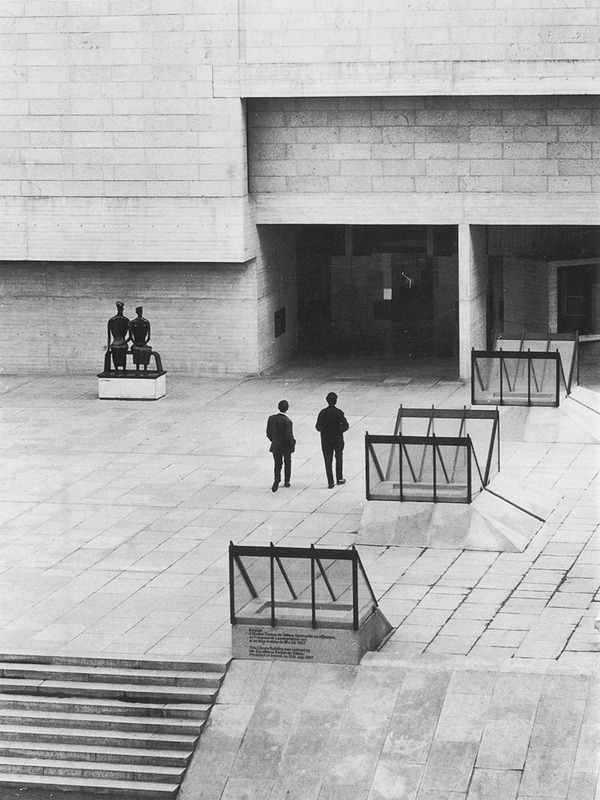 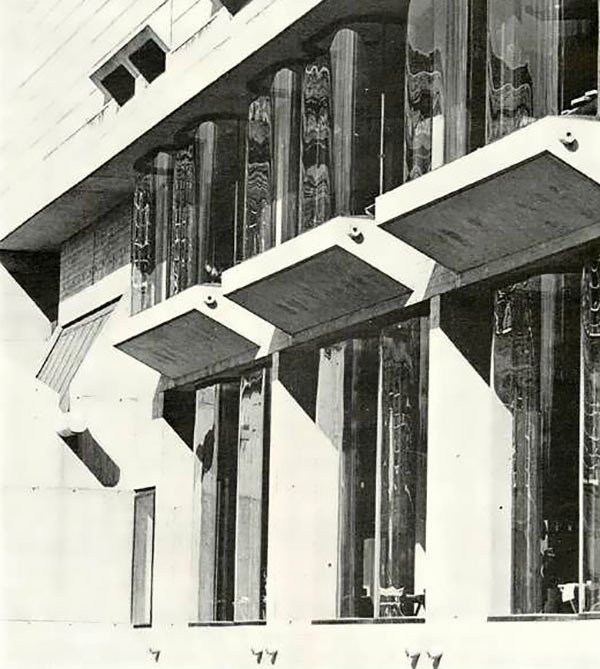 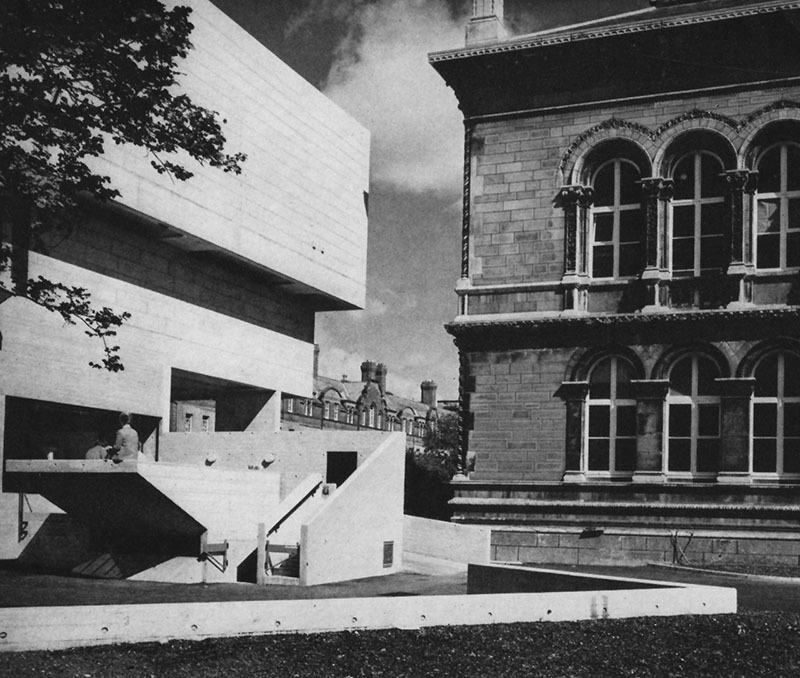 The library was the result of an architectural competition held in 1960 and won by a young Paul Koralek. 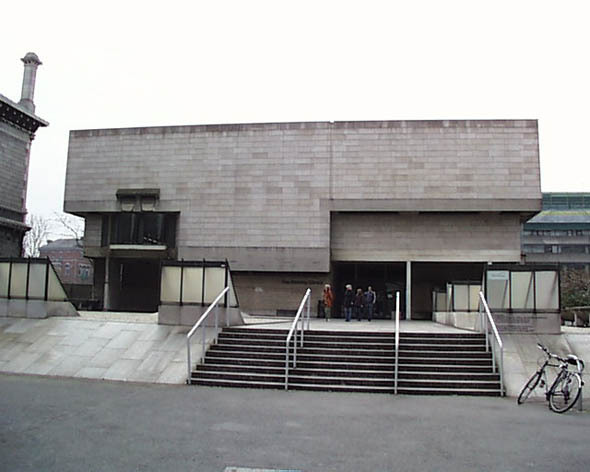 The Library is set back from the existing building line created by Deane and Woodward’s Museum and the old Library, thus creating a new raised public space. 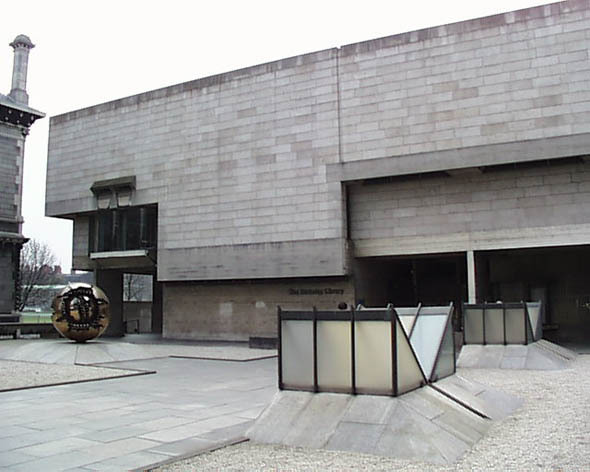 The space is home to an interesting sculpture by Arnaldo Pomodoro called ‘Sphere with Sphere’ (1982-83). 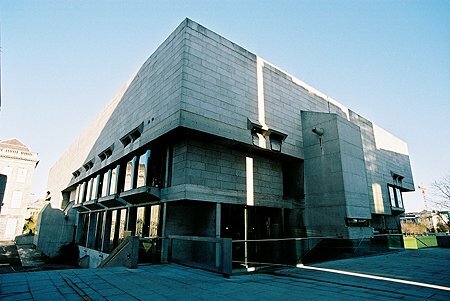 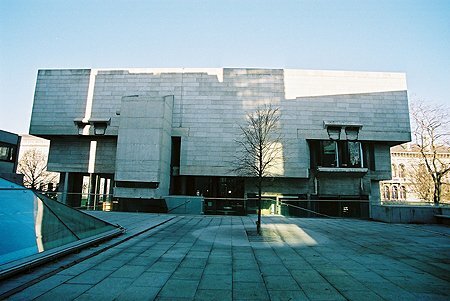 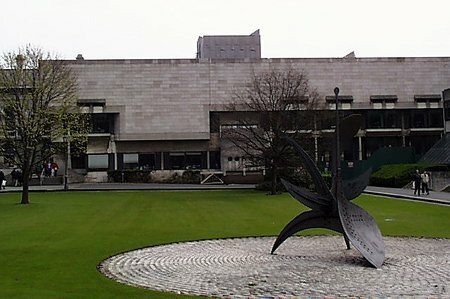 In addition the side elevation closes off the new square created between the Long Library and the Arts Block along Nassau Street.